We have a new game about a girl from Enchantimals. Her name is Bree Rabbit! Krol Bree is a very interesting and cheerful girl, and her beautiful rabbit brings a smile and uplifting. Bree is the most resourceful girl of all and loves adventure. Her ears on her head like a bunny. She has a rabbit named Twist, which she likes to feed carrots. In this game you can plunge into the world of Enchantimals and come up with a new image for a girl from the forest in which their best friends and animal friends live magic friends. Played: 3015. Added: 11-10-2018, 08:25. 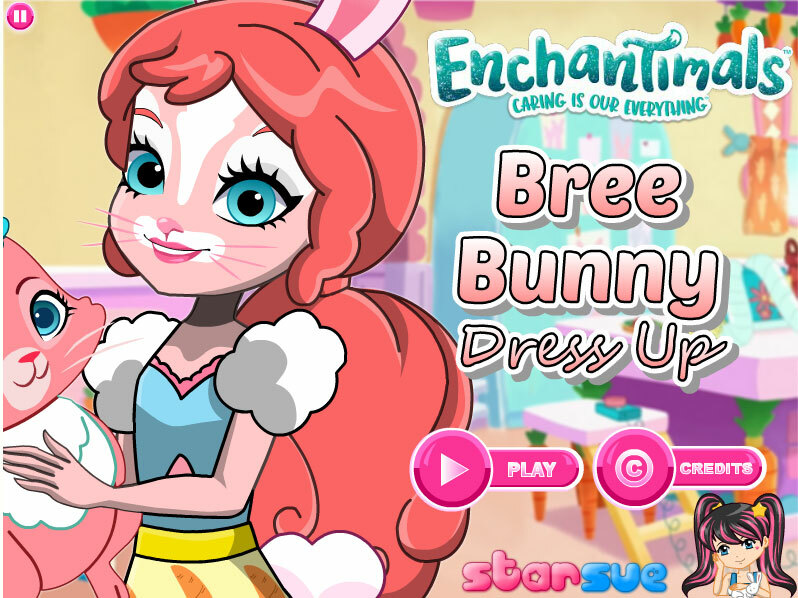 Bree Bunny and Twist dress up game.